Tiny octopus!! Wow that's majorly cute! octopus wins me over, sorry also adorable dragon. The lizard is cool, but the octopus is cute. The octopus. Because it's an octopus. Octupus=awesome. the octotaco. definitely. even cuter than angry hyraxes! Well... I hate to go with the flow, but.... I gotta say octopus. I just spent 10 minutes altering a pic. Of an octopus so it was different colors! Yeah! Oh and does anyone think cleaning sewers would be an ok job? Cause according to my school that's what I'm gonna do when I grow up. Or dredge lakes. Let's take a vote: sewers or lake muck? Oh and I'm gonna kidnap that octopus. is it really fair to ask that question? cuz i will always choose a dragon over an octopus. No contest. THEY'RE TINY!!!!!! They're both so so so so cute I cant decide! They're both cute in a weird and creepy sort of way, lol. 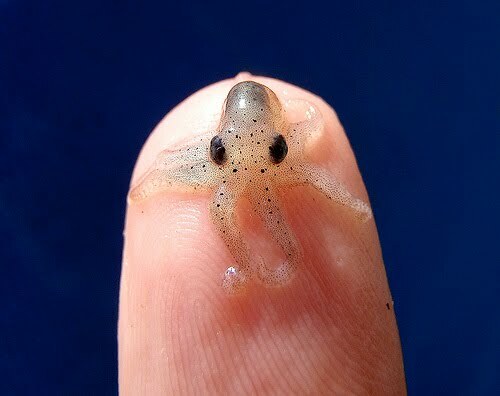 I think I'm giving my vote to the super-tiny octopus though...it's so bitty!! OMG! The Octopus is cute... 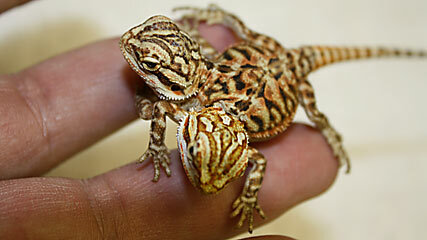 BUT I WANT THE DRAGON LIZARD!! MushroomCloud: I'd rather do lake muck. Oh, wait. I just read what Kirsten said. Now I'd have to say that it's a pretty tough choice. Hmmm Kirsten, Did your uncle ever wrestle a sewer booger for a diamond ring? The octopus may be cute, but the lizard is the cool one- better than the mutant fly with legs where its eyes should be! tiny octopie!! KAWAII!!! that's Japanese for Super Cute! KAWAII! they're both adorable! are they for sale?